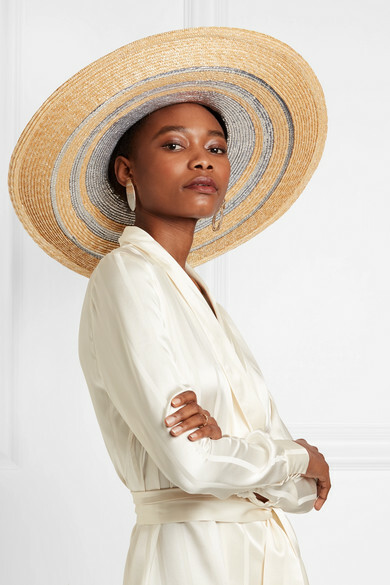 From garden parties to weddings, Maison Michel's wide-brimmed 'Bianca' hat is a glamorous option for so many summer events. 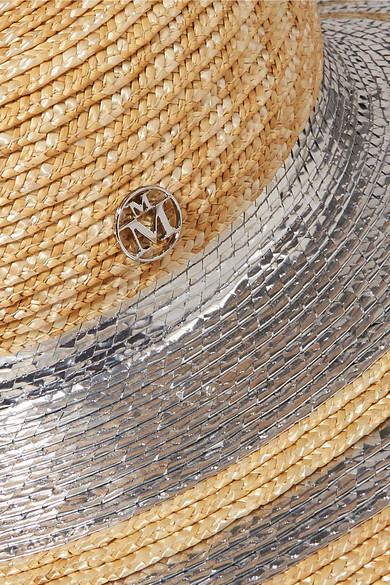 It has been hand-woven in France from natural straw and is traced with silver stripes that will shimmer beautifully in the sun. Shown here with: La Collection Dress, STVDIO Earrings, Meadowlark Ring.